Credit is one of the most misunderstood aspects of purchasing a home. Since the financial crisis, many potential home buyers think that you now need a 740 credit score and 20% down! Nothing could be further than the truth. Luckily, you will find the real story in this article! So lenders want to make good loans. We’ve seen what happens when people get into homes that they can’t afford – and NOBODY wants that to happen again. So what do lenders look for? Well, although there is some variation amongst lenders, most are pretty similar and go by similar standards, depending on the type of financing you’re looking for. Let’s take a closer look. FHA loans – require a 600 credit score and only a 3.5% down payment! That’s right – only a 600 credit score – hardly “restrictive”. If you have a 640 credit score, you may qualify for down payment assistance as well! Conventional loans – require a 620 score and 5% down payment. Similar to FHA, if you have a 640 credit score you may qualify for down payment assistance programs. VA – This program is for Veterans and their spouses – and requires a 640 credit score. Financing is at 100% loan to value, meaning you do not need a down payment at all! 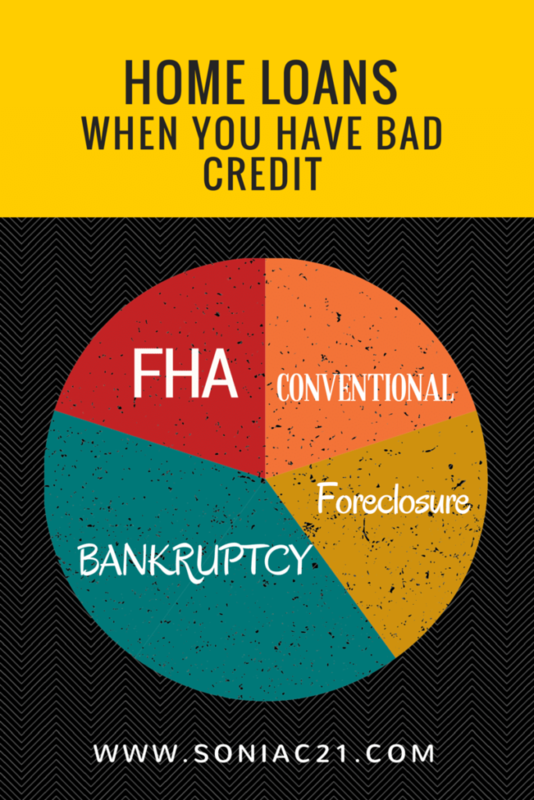 Chapter 7 Bankruptcies must be discharged for 2 years on FHA & VA and 4 yearsfor Conventional financing. Chapter 13 bankruptcies must be paid on for 12 months, but you can still be in them for FHA and VA financing. Foreclosure and short sales require a 3 year waiting period for FHA and 7 for Conventional. Va requries 2 years from a foreclosure but there is NO time limit for a short sale – unless it was on a VA loan. Also keep in mind that these programs can also utilize a gift from a blood relative for the down payment and the seller may be willing to contribute a closing cost credit as well. It’s important to sit down with your lender and then work with your Realtor to get you the best financing available. Overall, if you are interested in purchasing a home but feel your credit may be holding you back, check with your local mortgage expert. They can not only guide you if you are ready now, but they should also be able to give you valuable tips to help you repair your credit if need be. Good luck!